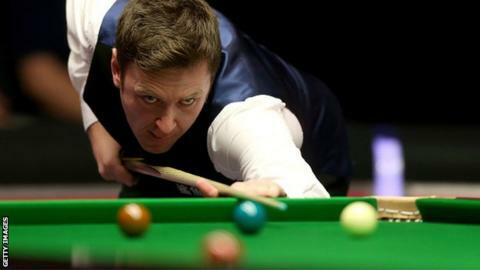 Holder Ricky Walden suffered a first-round defeat at the International Championship in Daqing, China, losing 6-4 to world number 66 Tian Pengfei. China's Tian built a 3-1 lead at the interval, aided by a break of 106. World number 11 Walden levelled at 4-4 with breaks of 92, 80 and 86, but Tian made a 70 and 64 to seal victory. There were wins for world number one Mark Selby and world champion Stuart Bingham, while Marco Fu made a 137 in a 6-2 win over Matthew Stevens. In the first professional tournament to be held in Daqing, Selby, seeking his first title of the season, enjoyed a 6-3 win over Mike Dunn and Bingham eased to a 6-1 win over Steven Hallworth, closing out victory with a run of 80. Michael Wild, who recorded a shock 6-0 win over world number seven Judd Trump in the qualifying round, lost by the same scoreline to Sanderson Lam while, in the wildcard round, 1997 world champion Ken Doherty, 46, scored a 6-2 win over Chen Zifan. Barry Hawkins came from 3-1 down to beat Chris Wakelin 6-4 with a break of 112, while two-time former world champion Mark Williams saw off Ian Burns 6-3 with a best effort of 93. Last year's runner-up Mark Allen beat fellow Ulsterman Joe Swail 6-4, Chinese prodigy Zhou Yuelong beat Martin Gould 6-2 and Anthony McGill top scored with 84 in a 6-0 whitewash of Sean O'Sullivan.